Atos, a global leader in digital transformation, signs a contract with the world-renowned University of Oxford (UK) to deliver a new national Deep Learning Supercomputer which will enable UK academics and industry to develop and test deep learning applications and Proof of Concepts, as part of the JADE1 project. The supercomputer, which is funded by the Engineering and Physical Sciences Research Council (EPSRC), will be used in a Deep-Learning-as-a-Service (DLaaS) model, powered by NVIDIA GPUs and Atos’ Extreme Factory technology, creating a public Deep Learning cloud. The Alan Turing Institute (ATI), recently established by the UK Government to provide a national focus for developments in Artificial Intelligence, will be a primary user of the new service helping industry and academia to access the latest cognitive analytics technologies. DeepLearning has broad applicability, from automated voice recognition and autonomous vehicles to medical imaging. The technology can be used, for example, to increase the accuracy of diagnoses in digital pathology. The system is composed of a cluster of 22 NVIDIA DGX1 deep learning supercomputers, which makes it the largest GPU-based system in the UK. Each DGX1 system has 8 Pascal P100 GPUs providing a total of 176 GPUs and a total power of 492.2 Tflops. It is currently ranked #12 on the TOP20 of the Green500 list of the most energy efficient computers. The supercomputer is hosted by Atos at the STFC Hartree Centre in Daresbury, near Warrington, UK. SC17 is the biggest event in supercomputing in the USA, focusing on HPC, networking, storage and analysis, taking place in Denver, USA starting 13 November. Atos presents its expertise on booth #1925. Atos is a global leader in digital transformation with approximately 100,000 employees in 72 countries and annual revenue of around € 12 billion. European number one in Big Data, Cybersecurity, High Performance Computing and Digital Workplace, the Group provides Cloud services, Infrastructure & Data Management, Business & Platform solutions, as well as transactional services through Worldline, the European leader in the payment industry. With its cutting-edge technologies, digital expertise and industry knowledge, Atos supports the digital transformation of its clients across various business sectors: Defense, Financial Services, Health, Manufacturing, Media, Energy & Utilities, Public sector, Retail, Telecommunications and Transportation. 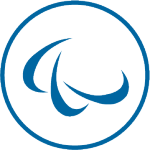 The Group is the Worldwide Information Technology Partner for the Olympic & Paralympic Games and operates under the brands Atos, Atos Consulting, Atos Worldgrid, Bull, Canopy, Unify and Worldline. Atos SE (Societas Europaea) is listed on the CAC40 Paris stock index. 1 JADE - Joint Academic Data science Endeavour. This proposal, led by the University of Oxford, with support from the Alan Turing Institute (ATI), Bristol, Edinburgh, KCL, QMUL, Sheffield, Southampton and UCL is for a national GPU system that will support multidisciplinary science with a focus on machine learning and molecular dynamics.